The Detroit office for the Kresge Foundation seeks to augment the beauty of a historic Midtown building, while embodying collegiality and sophistication. 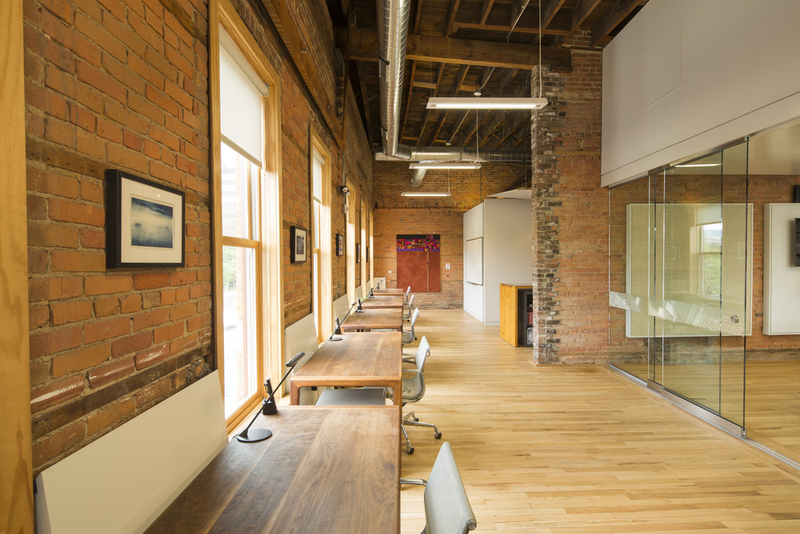 The solution deploys common elements such as gypsum board partitions, suspended ceilings, and a contemporary wainscot as a counterpoint to existing materials. an awareness of the interior’s contrapuntal nature.